An ELECTRIC BICYCLE, also known as an e-bike, is a bicycle with an integrated electric motor which can be used for propulsion. 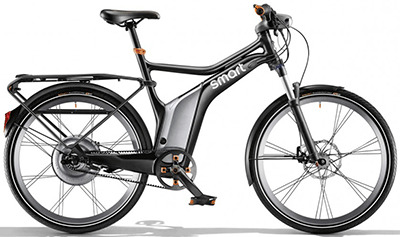 There are a great variety of different types of e-bikes available worldwide, from e-bikes that only have a small motor to assist the rider's pedal-power (i.e., pedelecs) to somewhat more powerful e-bikes which tend closer to moped-style functionality: all, however, retain the ability to be pedalled by the rider and are therefore not electric motorcycles. E-bikes use rechargeable batteries and the lighter varieties can travel up to 25 to 32 km/h (16 to 20 mph), depending on the laws of the country in which they are sold, while the more high-powered varieties can often do in excess of 45 km/h (28 mph). In some markets, such as Germany, they are gaining in popularity and taking some market share away from conventional bicycles, while in others, such as China, they are replacing fossil fuel-powered mopeds and small motorcycles. 6 folding electric bikes that fit practically anywhere - engadget. 8 high-level road bikes that will make you want to remortgage your house - The Telegraph. 10 best folding bikes for cycling commuters - The Telegraph. 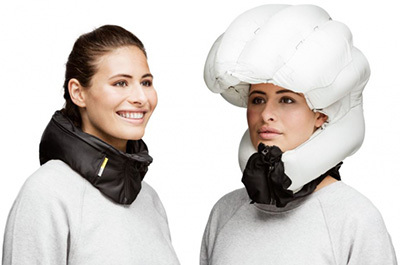 12 of the most ridiculous cycling accessories you'll ever see - The Telegraph. 12 ROAD-READY GIFTS FOR BIKE COMMUTERS - Wired. 20 quotes that capture the beauty of cycling - The Telegraph. 199-year-old bicycle found in disused barn - "Is this Britain's oldest bike?." 2018 Editor’s Choice for Best Electric Bikes - Prices, Specs, Videos, Photos. Electric Bike Review. 2018/2019: 8 best electric bikes - "All you need to know about e-bikes." A Beginner’s Guide to Biking to Work - The New York Times. Alchemy Helios - Review: What's riding a $17,000 bike like? 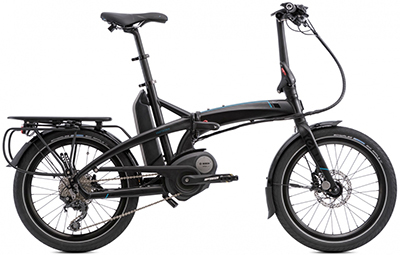 AMPLER CURT E-BIKE REVIEW: ELECTRIC DOESN’T HAVE TO MEAN BIG & UGLY - The Verge. 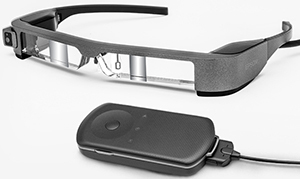 AR glasses will quench your ride-stat thirst - engadget. around the world in 80 days - Cyclist set to finish record-breaking ride a day early. bikes outnumber cars for the first time in Copenhagen - The Guardian. Blaze Laserlight - "Be Seen. Be Anticipated." Combining a powerful LED light with a bright laser projection, the Laserlight maximises your safety on the road. Boardman Mountain Bike Pro 29er review: ‘A lot of bike for the money’ - The Guardian. Brooks Wants You to Test Its New Helmets - Responsibly, Thank You Very Much - Wired. Canari - men's & women's cycling clothing. CANYON URBAN 8.0 review - Wired. Canyon’s Endurace CF SL DISC 8.0 review - "The perfect combination of speed and stamina." Copenhagen Wheel - transforms ordinary bicycles quickly into hybrid e-bikes that also function as mobile sensing units. Copenhagen’s New Traffic Lights Recognize and Favor Cyclists - Wired. Electric bicycle | e-bike - Wikipedia. Electric Bike Review - since 2012. "Exploring the world of eBikes with videos, pictures, and a forum to educate and inspire!" FIXED-GEAR BICYCLE - aka Fixie. GenZe has a commuter e-bike for a connected world - engadget. Glenmorangie’s Beyond The Cask reveals partnership with Renovo bicycles - The Telegraph. Hexagon is a bike camera that turns your smartphone into a rearview mirror - The Verge. how cycling shorts became the height of fashion - The Guardian. How cycling shorts went from Mr Motivator to the style hit of the summer - "From the catwalk to Kim Kardashian, cycling shorts have made an unlikely comeback this sports-centric season." How to buy a road bike - and 10 of the best under £5,000 - The Telegraph. How to Ride Downhill on a Bicycle - The New York Times. HÔvding - since 2005. "Airbag for urban cyclists." Hövding offers the world´s best shock absorption capacity and consists of two parts, a collar and a cover. The collar encloses the airbag system that protects the head and is made of black, waterproof, dirt-repellent functional fabric that rests comfortably around your neck. It is easy to put on, with a centre front zip. 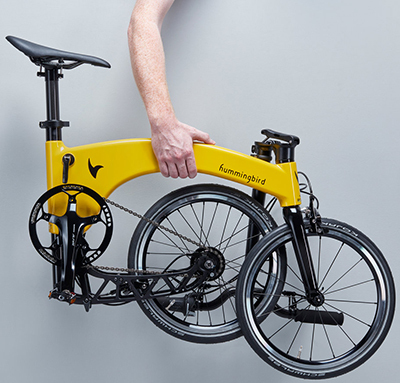 Hummingbird: ‘The world’s lightest - and possibly sexiest - folding electric bike’ - "Taking inspiration from the top flight of motorsport, the Hummingbird e-bike is ready to take off (just don’t leave it unlocked anywhere)." IKEA to launch their first bicycle – and yes, it's flat-pack - The Telegraph. Is this the ultimate bike for foodies & foragers? - The Telegraph. It Looks Like a Motorcycle, but Yes, It's an E-Bike - "Review: ELBY S1 9-Speed. How do you get people onto an electric bike who have never biked before?" JETSON METRO ELECTRIC FOLDING BIKE review - "When it comes to convenient commuter vehicles, more isn't always better." KRYPTONITE LOCKS - industry leading provider of bicycle, power sport and snow sport personal property security solutions. List of bicycle brands and manufacturing companies - Wikipedia. Livall Bling Helmets - "Smart Riding Helmets." 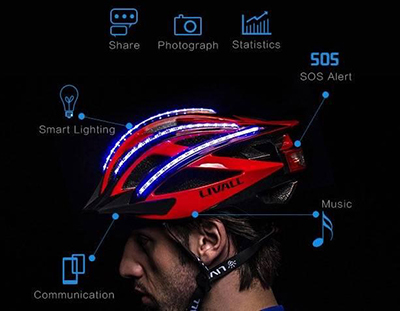 Your smart riding experience begins with the Bling Helmet. Tail lights and turn signals at its rear let your fellow cyclists and commuters know where you’re headed. Its 3-axis G-sensor monitors for any sudden accelerations/decelerations, and in the event of an accident, SOS alerts are sent to your emergency contacts. Built-in Bluetooth mic and speakers allow for taking/making phone calls and listening to your favorite tunes while riding. 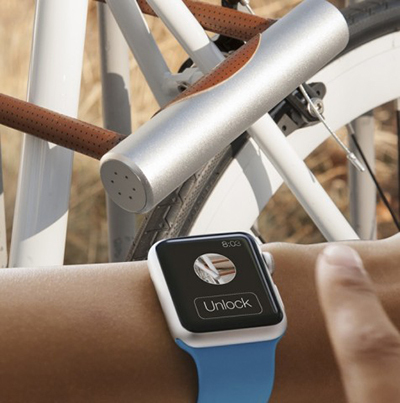 LOCK8 - "The world's first smart bike lock". Lock 'n' Locate. 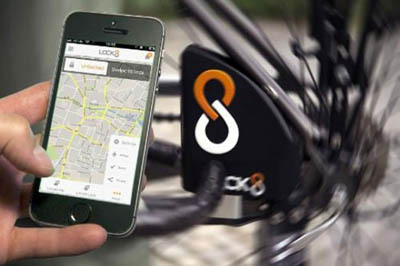 Smart Bike Lock | Bike GPS Tracking | Bike Lock Alarm. Mamil - (an acronym standing for "middle-aged man in lycra") is someone who rides an expensive racing bicycle for leisure, wearing professional style body-hugging jerseys & shorts. Mason Bokeh adventure bike review - The Telegraph. Morpher - "Folding Helmet Technology." 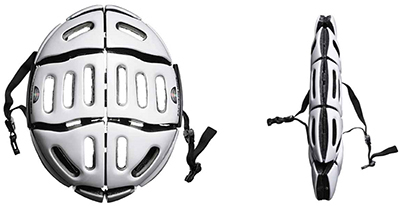 Morpher folds & unfolds quickly and simply so it's perfect for cyclists who want to carry a helmet more easily. Morpher has been designed to surpass all relevant safety standards. Objects of desire: the best and most beautiful bikes of the Rouleur Classic - The Telegraph. OURY GRIP - "Put the power in your hand!" Peddling nonsense: The celebrities who openly dislike cyclists - The Telegraph. 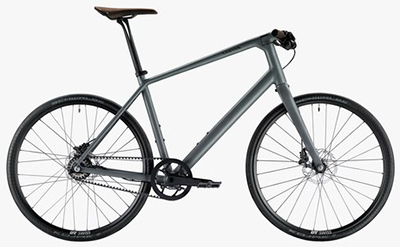 Ridgeback X3 e-MTB review - The Telegraph. 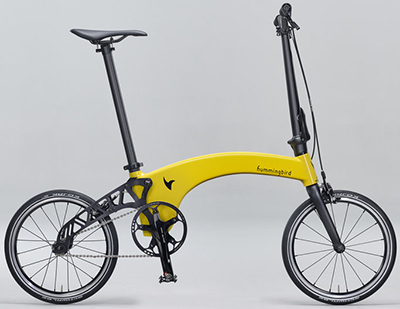 Someday all bikes will be like the electric Ampler Hawk - The Verge. SPECIALIZED MEN'S TURBO LEVO COMP review - "An pedal-assist mountain bike that's as beastly on the trails as it is on paper." Strava - "Connecting the world's athletes. Run and Cycling Tracking on the Social Network for Athletes." If you're active, Strava was made for you. Our mobile app and website enhance the experience of sport and connect millions of athletes from around the world. We're the social network for those who strive. Join us. TEST-RIDING THE (2017) VANMOOF ELECTRIFIED S - The Verge. The Bicycle and the Ride to Modern America - The New York Times. The big bike helmet debate - 'You don’t make it safe by forcing cyclists to dress for urban warfare'. The Moskito is a smartwatch that can turn into a speedometer for your bike - The Verge. The Surprising Health Benefits of an Electric Bike - The New York Times. These air-free bike tires aim to free us from the pain of fixing a flat - The Verge. THIS BIKE'S LIGHT-UP FORK WILL NEVER LEAVE YOU IN THE DARK - Wired. 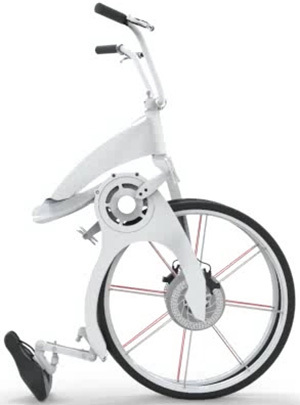 This motorized wheel adds electric power to your bike - The Verge. Thule - Bike travel cases. Top 25 Bike Brands - The Active Times. Uber’s new Jump e-bikes are easier to charge and harder to vandalize - "New features include swappable batteries, retractable locks, and a phone mount." VELO NEWS - "Competitive Cycling News, Race Results and Bike Reviews." Waterfield - "Made in San Francisco." Whether you're a club cyclist, urban commuter, or elite rider, the WaterField cycling lineup has the functionality and style for your biking needs. Designed by cyclists for cyclists: messenger bags, musettes & pouches. What will the bicycles of the future look like? - The Telegraph. World's biggest bike parking garage opens in Utrecht – but Dutch dream of more - The Guardian. You'll look like 'Robocop' with this smart cycling helmet - engadget. Taiwan United Kingdom U. S. A.
AURUMANIA GOLD BIKE CRYSTAL EDITION - world's most expensive bike: 80,000. AVENUE - "100% Pure Luxury." BIOMEGA - "Biomega is a premium urban bicycle brand, peerless within its category. Biomega bike designs and develops bicycles, electric bicycles and related accessories." GEORG JENSEN BICYCLE - "WHEELS is a true piece of daily life luxury. A functional, outstanding quality piece of design representing the core of Danish design and lifestyle." 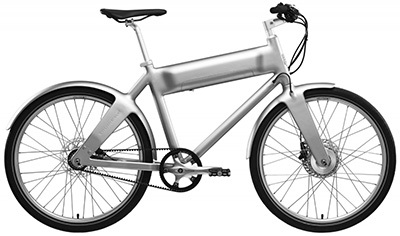 HERSKIND + HERSKIND - "Simplicity E01 - Electric Bike". 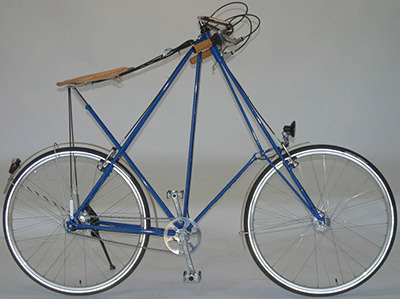 PEDERSEN BICYCLES - "The Bentley of Bicycles." PROTANIUM - "A functional, outstanding quality piece of design representing the core of Danish design and lifestyle." SÖGRENI - since 1981. Hand-built luxury bicycles. 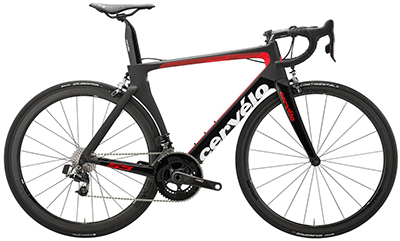 CervÉlo - since 1995. "World's Fastest and Lightest Bikes." Manufacturer of racing & track bicycles. 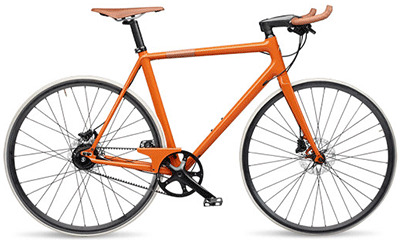 HERMÈS - Hermès unisex bicycle in orange carbon. 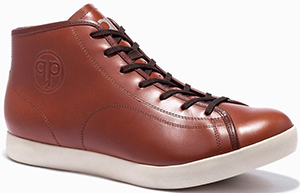 Versatile, exceptionally light, durable and comfortable. LAPIERRE - "Ride With Style." MTB, urban, race & e-bikes. PEUGEOT - "Discover Peugeot’s international range and all the models commercialized by the Brand throughout the world." 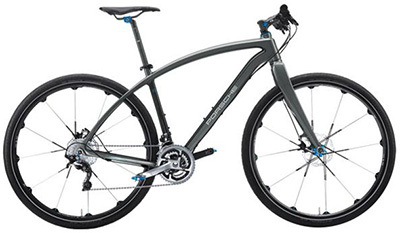 BMW BIKES - touring bike, cruise bike, mountainbike, carbon racer bike, cruise e-bike. Canyon Bicycles - since 2002. 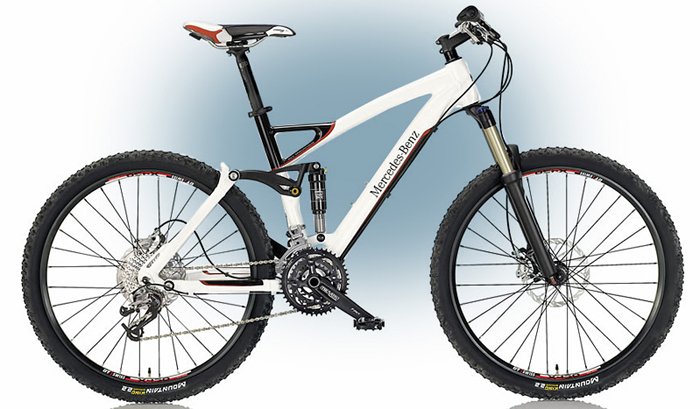 Manufacturer of racing bikes, mountain bikes & triathlon bikes based in Koblenz. GHOST BIKES - "German Bicycle Technology.". HAIBIKE - since 1996. "Performance Bikes." Mountain bikes, electric bikes, coadrace, criathlon, cyclocross. HERCULES - city bikes & electric bikes. PORSCHE BIKES - "The combustion engine: sits on the saddle. The new Porsche Bikes." STAIGER - since 1914. "Bicycle Culture." WINORA - "Bikes For Life." Bicycles & eBikes. BIANCHI - since 1885. World's oldest bicycle-making company still in existence, having pioneered the use of equal-sized wheels with pneumatic rubber tires in 1885. CARRARO - has designed and manifactured high-quality bicyles for over seventy years. CITYBIKE - by Momo Design. De Rosa - since 1953. 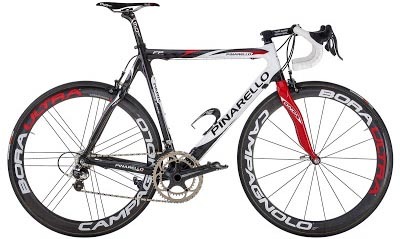 Pinarello - founded in 1952. Italian bicycle manufacturer in Treviso, Italy. It supplies mostly handmade bicycles for the road, track and cyclo-cross. WHISTLE BIKES - mtb, road, trekking and e-bikes. BATAVUS - since 1904. electric bikes, classic city bikes, modern city bikes, all around bikes, kids bike. KOGA - "Hand Built Perfection." 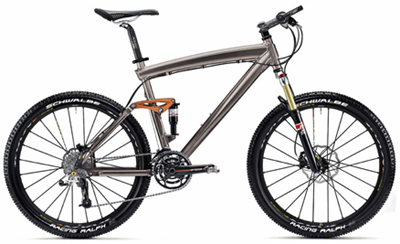 Light, sportive bikes of the highest quality: e-bikes, mountain bikes, trekking, light touring, race and fast movers. KOGA SIGNATURE - "Your custom order bike in 5 steps." Yike Bike - "The world's first super light folding electric bike." BH NEO - "Official online store of BH bikes." 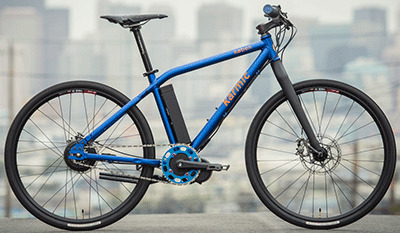 NEO electric bicycles with a battery integrated into the frame. Exclusive patented BH design. Tern - since 2011. "We build bikes that defy expectations for what a folding bike can do." FACTOR Bikes - "Home of the new Vis Vires." Martone Cycling Co. - since 2013. RALEIGH - since 1888. One of the oldest bicycle companies in the world. Ridgeback - since 1983. Manufacturers road, urban, utility, youth & mountain models. SNOOPER - Cycle GPS Navigation & Electric Bikes. BIANCHI USA - road & monutain bikes. BREEZER BIKES - since 1977. "The world's first and oldest mountain bike brand." budnitz bicycles - since 2010. "Budnitz Bicycles creates the lightest, fastest, and most elegant city bikes in the world. Custom built for each customer, our handmade titanium belt drive bicycles set the standard for exceptional beauty, speed, and comfort." CANNONDALE Bicycles - since 1971. Road & mountain bikes. DERRINGER CYCLES - "Derringer Electric Bespoke." A modern interpretation of the board track racing motorcycles of the 1920s, Derringer cycles capture the simple, pared-down, aggressiveness of early Motorsport while delivering an intricate level of personalized customization. eGo - "Reinventing wheels." Specializing in electric bikes, battery-powered scooters and other eco-friendly forms of transportation. Felt Bicycles - since 1992. "Premium Road, Triathlon, Time Trial, Track, Cyclocross, Mountain and Lifestyle bicycles, frames, parts, clothing & accessories." FUJI BIKES - founded in 1899. "Conquer Your Mountain." 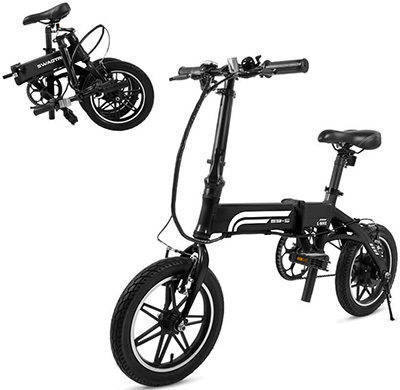 Gi FlyBike - "We make the world's most sophisticated and fastest folding electric bicycle. We are interested in making cities happier and healthier places to live." Juliana Bicycles - since 1999. "The Original Women's Mountain Bike." Karmic Koben - "Ride Faster, Go Further." An Electric Bike Built For Commuters. KGS BIKES - "World's Premiere Bespoke Custom Bicycle Design Studio." Livall - "Livall's Smart Riding Bikes are the world's most... Made of the lightest... With connectivity to the Bling Jet (remote control), Nano Cadence Sensor, and Phone Holder/Recharger, these bikes provide the ultimate riding experience." Mellow JOHNNY'S BIKE SHOP - "To serve the bike community is our job, but to introduce people to a bike life is our mission." MONTAGUE - since 1987. 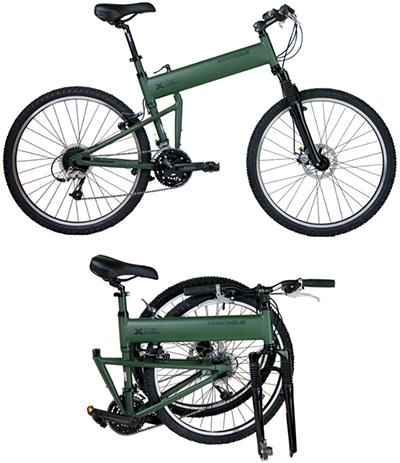 The world's leading manufacturer of full-size folding bicycles for recreation, everyday use, and potential military customers. REDLINE BICYCLES - since 1974. "Redline bicycles is dedicated to cycling on dirt, in mud, and on the street." SEVEN CYCLES - "Custom-built, carbon, titanium, and steel bicycle frames." 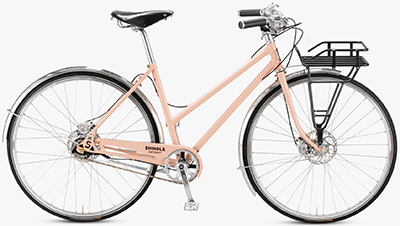 Shinola - "Hand Assembled Bicycles." Men's & women's. Steven's Bicycles - "The Valley's Cycling Source Since 1955." 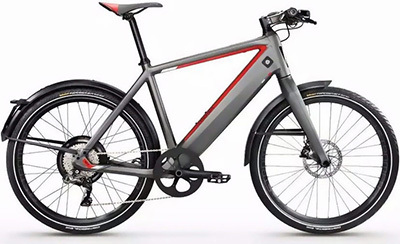 Stromer ST2 S - "The future is now. 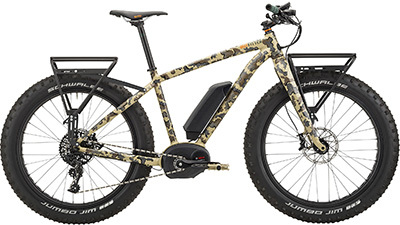 The Most Technologically Advanced E-Bike." Ushering a new era for the chic and smart urban lifestyle, the ST2 combines digital connectivity with Swiss efficiency and eco-friendly mobility to deliver a truly ground-breaking e-bike experience. Swagtron - since 2015. "#RideBeyond." Electric Bicycles. High Performance eBikes. All models. Yuba Cargo Bikes - since 2007.